A Credential Store is a User ID and Password storage mechanism that utilizes the auto login wallet within the Oracle Credential Store Framework to store and encrypt sensitive information, which in turn will be accessed by GoldenGate processes via ALIAS parameters, such as USERIDALIAS and ASMUSERIDALIAS. 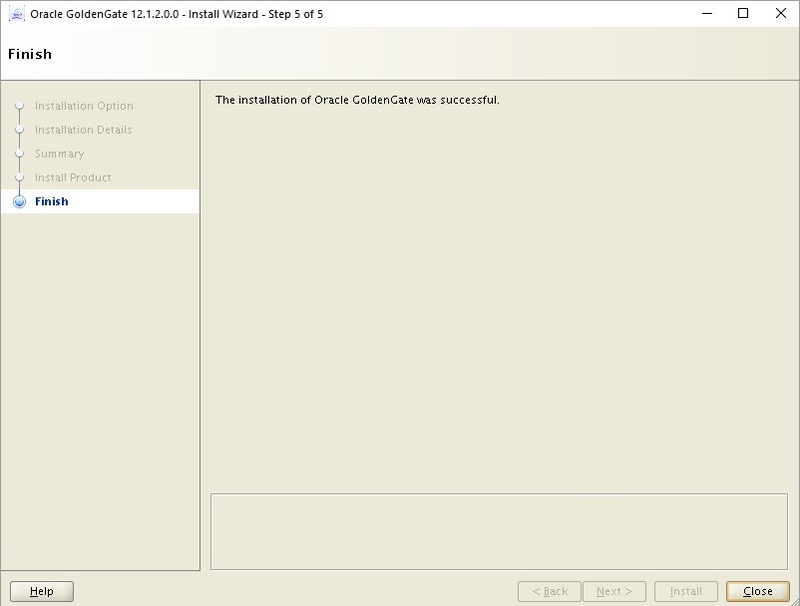 The Credential Store is created in the default directory dircrd under the Oracle GoldenGate installation directory. ERROR: Unable to connect to database using user oggadmin. Ensure that the necessary privileges are granted to the user. ERROR: Credential domain 'OracleGoldenGate' not found in credential store. We will publish soon about this separatly !!! Copyright (C) 1995, 2013, Oracle and/or its affiliates. All rights reserved. Definitions generated for 1 table in ./dirdef/chittidefs.sql. — Checkpoint tables are only used by the Replicat, so NO need to create on source because it’s one-way replication. For the GLOBALS configuration to take effect, you must exit the session in which the changes were made. Execute the following command to exit GGSCI. Successfully created checkpoint table OGGUSER.CHECKPOINT. Start of Statistics at 2018-09-05 17:26:03. Start of Statistics at 2018-09-05 17:26:37. Start of Statistics at 2018-09-05 17:31:09. Start of Statistics at 2018-09-05 17:46:50. Start of Statistics at 2018-09-05 17:47:11. Start of Statistics at 2018-09-05 17:48:53. Start of Statistics at 2018-09-05 17:52:42. Start of Statistics at 2018-09-05 17:52:50. Start of Statistics at 2018-09-05 17:55:07. Last record lag 7 seconds. At EOF, no more records to process. 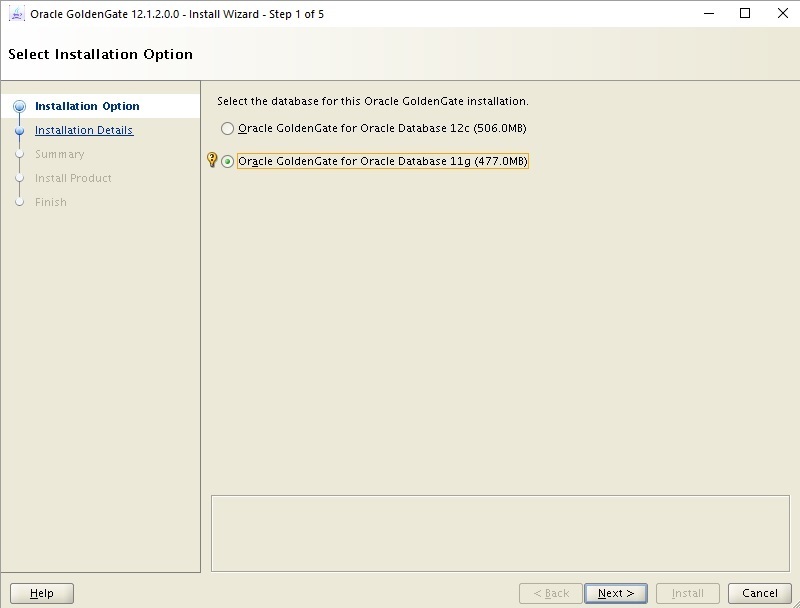 AIM: Configure GoldenGate 12C Integrated Capture (All extract/pump and replicat on same database/server). Instead of reading from the redo/archive logs, the Oracle GoldenGate Extract process interacts directly with a database logmining server to receive data changes in the form of logical change records (LCR). In Pre-Goldengate 12c classic capture mode, the Oracle GoldenGate Extract process captures data changes from the Oracle redo or archive log files on the source system. The source and log mining databases are different databases. Extract E11G successfully registered with database at SCN 2152703. 2016-12-05 20:36:13  INFO    OGG-01788  SCHEMATRANDATA has been added on schema sender. 2016-12-05 20:36:13  INFO    OGG-01976  SCHEMATRANDATA for scheduling columns has been added on schema sender. The ADD SCHEMATRANDATA command adds supplemental logging to all tables both current and future for sender schema. Successfully created checkpoint table GATE.CHECKPOINT. -- The ASSUMETARGETDEFS statement means that we are assuming both source and target table structure is same. GoldenGate CAPTURE CP01 for OGG$CAP_E11G with pid=54, OS id=32549 is in combined capture and apply mode. Capture OGG$CAP_E11G is handling 1 applies. AIM: Zero Downtime Migration with one-way replication between an Oracle 10gR2 database and an Oracle 11gR2 database on same server. Copyright (C) 1995, 2012, Oracle and/or its affiliates. All rights reserved. 2016-11-26 21:32:37  WARNING OGG-00869  No unique key is defined for table 'A'. All viable columns will be used to represent the key, but may not guarantee uniqueness. KEYCOLS may be used to define the key. Logging of supplemental redo data enabled for table CDS.A. Logging of supplemental redo data enabled for table CDS.TEST. Manager is running (IP port rac1.rajasekhar.com.15000). Start of Statistics at 2016-11-26 22:45:02. *** Note in GGSCI, the Oracle SCN number is AFTERCSN, not AFTERSCN. *** Start the REPLICAT only after successful of import. Start of Statistics at 2016-11-26 22:52:00. Start of Statistics at 2016-11-26 23:21:30. Start of Statistics at 2016-11-26 23:21:14. 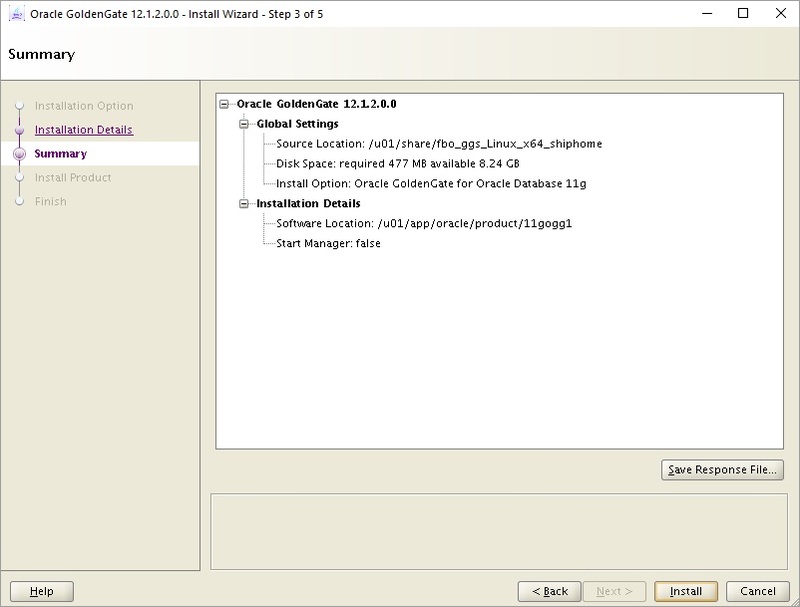 Configure Oracle GoldenGate to perform DML one-way replication between an Oracle 10gR2 database to an Oracle 11gR2 database. DB Version: Oracle 10.2.0.5, File system: ASM, All db files on ASM. DB Version: Oracle 11.2.0.3, , File system: ASM,  All db files on ASM. Copyright (c) 1991, 2010, Oracle. All rights reserved. Service "PLSExtProc" has 1 instance(s). Service "rcm" has 1 instance(s). Service "rcmXDB" has 1 instance(s). Service "rcm_XPT" has 1 instance(s). Copyright (c) 1991, 2011, Oracle. All rights reserved. Service "mgm" has 1 instance(s). Service "mgmXDB" has 1 instance(s). 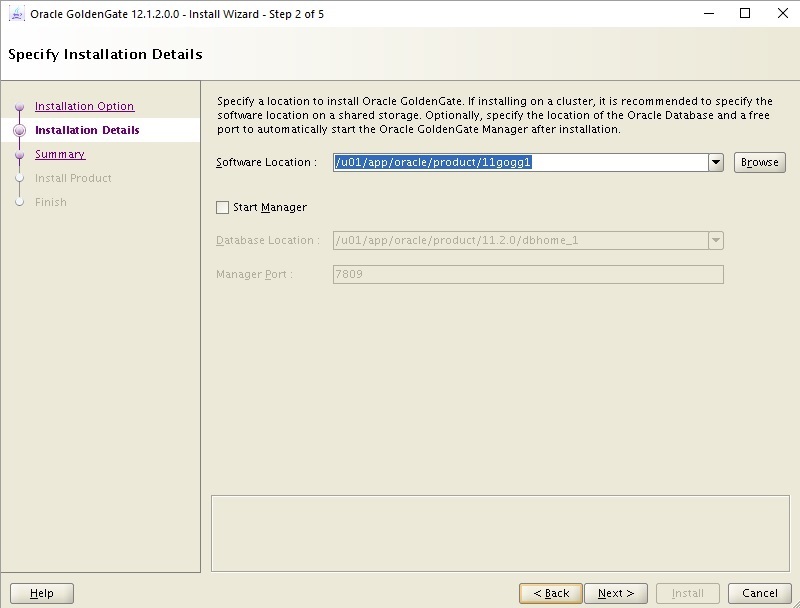 Note: The below procedure is same for “Installing Oracle GoldenGate V11.2.x for Oracle 11gR2 on Linux x86-64? 2015-07-23 14:21:43  WARNING OGG-00869  No unique key is defined for table 'SUGI'. All viable columns will be used to represent the key, but may not guarantee uniqueness. KEYCOLS may be used to define the key. Logging of supplemental redo data enabled for table SENDER.SUGI. Logging of supplemental redo log data is enabled for table SENDER.SUGI. Columns supplementally logged for table SENDER.SUGI: NAME, ROLE. the changes were made. Execute the following command to exit GGSCI.